On a commercial on MTV a while back I remember seeing another new white rapper, and I actually liked some of his lyrics. He may have been rapping about the typical themes (money, girls, partying), but he had a unique style and a memorable quality to his voice. Browsing my usual hip-hop/music blogs, I came across him again. His name did not sound familiar, but once I hit play, his voice did. His name is G-Eazy. AKA Young Gerald. The snippet of music video I saw on MTV was his song, "I mean it," and it made me excited about his music. I pulled up a site to listen to his debut album, These Things Happen. I tuned in and listened all the way through before going to sleep. It had my undivided attention, and I really liked the progression of the album. To me, These Things Happen works better as an album than any one song in isolation. In 2014, this is rare. I also think it is a good thing. Albums should function as an album. You don't read one chapter out of a book and disregard the rest taking it completely out of context, so why do we so often do that with music? I had the Genius app up on my phone while I was listening to the album so I could read annotations, and after one full play through the project, it got my thumbs up. Side note: I try to always support good music. Whenever I am interested in an album I stream it for the first listen and then if I like it, I do go out and buy it for my music collection. There are projects that I have listened to and not purchased, but there are not projects that I have enjoyed and not purchased. In his music he portrays real vulnerability and realization of where he's come from, where he is at now, and where he wants to be soon. It is refreshing to hear an "up and coming rapper" stay grounded while they are starting to blow up. At the end of the fifth track, Opportunity Cost, Young Gerald includes dialogue from his mother on his voicemail. It made me tear up. For an "almost famous" rapper, Young Gerald seems pretty humble, which as a listener I appreciate. Another thing that drew me to him was the quality of his production and visuals. Below is the clip that I saw on MTV which initially sparked my interest. When is the last time you saw a video like that? (To answer my own question, for me it was this one, but either way G-Eazy is killin it no doubt). 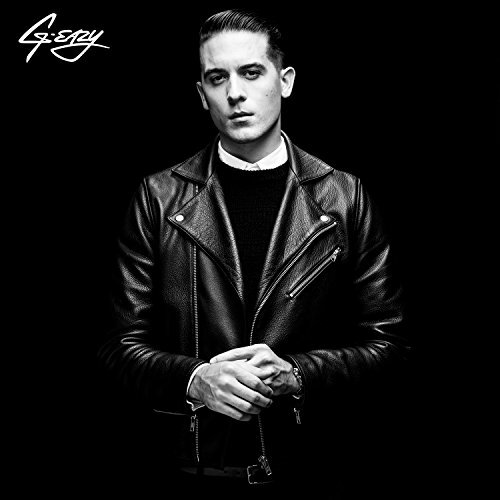 G-Eazy touches on a variety of themes in this project and it's super refreshing to hear. His vocals are on point and offer a unique quality to his tracks. Overall there is no question he is a breath of fresh air in this sub-genre of hip-hop.